Did you know that in other countries they don’t keep their eggs refrigerated? They are just stored at room temperature, on the counter, in a basket, and they don’t go bad. When my chickens first started laying, I was nervous that we wouldn’t gather the eggs quickly enough and they would rot before we got them to the nice, safe, sterile fridge. The egg bloom is an invisible coating from the chicken’s body that seals the eggshell’s pores. It serves as a shield and a strengthening agent, keeping bacteria out and moisture in. With the bloom in place, the egg is protected and strong- just as it is. An egg will stay fresher in its natural state, than it will washed and preserved in the fridge. Now, if you don’t have chickens of your own, you may not know that those beautifully colored, organic eggs get a little dirty in the process of being laid. Chickens aren’t very discriminating birds and they will lay their eggs in the same place that they lay (AHEM) other things. When the kids bring the egg basket in each day there are feathers, dirt, and (AHEM) other stuff stuck to them. I may dust them off a bit, but I do not wash them. See, in washing off the crap and feathers and dirt, I’d also wash off the natural, magical bloom. Clean eggs rot a lot faster. Sometimes when friends are over and see my basket of dirty eggs I feel a little embarrassed. Like I have to explain that it’s not laziness or an oversight. That there is something important and strong under the filth. Obviously, I wash the eggs before I crack them open to use them, and I wash them before I pack them to sell. There are times that clean eggs are called for. 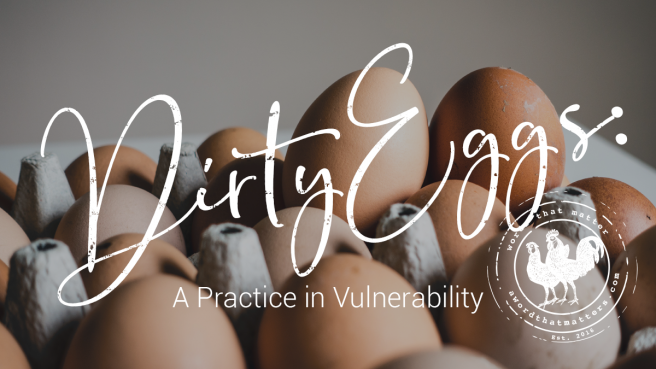 But in everyday life, dirty eggs on the counter is a practice in vulnerability. It’s a standoff with our sterile, hygienic, unblemished culture. God has me on a couple of really vulnerable journeys right now. Really. Vulnerable. And let me promise you that I have been really tempted to clean up my crap before I came to the table. Really. Tempted. I want to dust off the dirt and the feathers and show up pretty and unblemished too. I want to put my best, most put-together foot forward, and then rush to safe sterile places of life, friendship, marriage, and faith. We’ve all felt it, haven’t we? The wilting and rotting when we show up all clean and shiny and not at all our selves? Not at all honest with our junk, nodding polite heads and staying in the hygienic middle ground rather than the gritty corners of real life? Not at all vulnerable – expiring by the second? Feeling the hope seeping out, and the unmet expectations creep in? But I’m trying to learn the lessons these dirty eggs and this invisible bloom are teaching me. Do I trust that God sent me to these places, on these hard journeys with what I need to survive? Do I trust that there is something strong and important underneath my ugly too? Something needed and magical? Something invisibly keeping my nature in tact, the presence of God in, and the rot of the world out? Clean eggs are acceptable, I get it. No one would choose to buy dirty eggs at the store. We are repulsed by the idea of it. 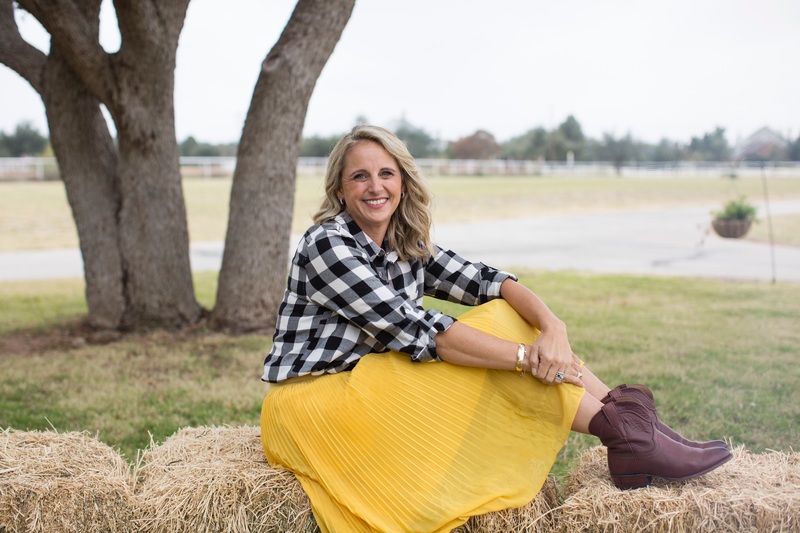 Clean people are acceptable too… cleaned up marriages and parenting and homes and answers. There are plenty of places my crap isn’t welcome and I wouldn’t be safe with my feathers showing. Noted. But there has to be a space I can come vulnerable, real, natural, surviving and thriving underneath the dirt. Dirty eggs stay fresh longer. Shiny stories rot pretty quickly. There is no magic in the gleam. We trade a cleaned up outside for a dying inside. Or we are brave and risk our dirt and feathers showing, knowing that vulnerability really is a bloom. It blooms safety and healing and conversations and space for well, space. Don’t clean up too quickly. Safe, sterile, and unblemished are overrated. Let’s all us dirty eggs find a basket on a countertop and outlast the fake smiles and carefully crafted answers together. Let’s trust the we are strong and protected not in spite of the bloom of vulnerability, but because of it. My Word Of The Year is…. LAUGHTER! I think it’s kind of weird and I’m not sure what it may have in store for me but God has been clear so I’ll declare it. The very first Spring we moved to the Ranchito I had big dreams for my little garden. I had spotted it the very first time we walked the property. It was already plotted out and fenced in. Now, it was a total mess, full of tumbleweeds and debris, but it was there and it was going to be mine. As the weather began to warm, I was itching to get to work. I labored weekend after weekend clearing the garden, pulling weeds, and repairing the fence and watering system (ok, my husband did that part but I held stuff). After the tumbleweeds were gone and I could actually see the ground I noticed a little sprout and thought, “Hmmmm… that weed looks like asparagus.” I promptly pulled it up and moved on. The next weekend I went back out and found the same funny looking weed in the same spot and thought again, “Hmmm… that weed looks like asparagus,” and once again pulled it up. By the third week, when I finally went out to plant my inaugural garden and found it resiliently popping it’s head up once again, I thought, “Hmmm… You know what? That IS asparagus!” And it was. 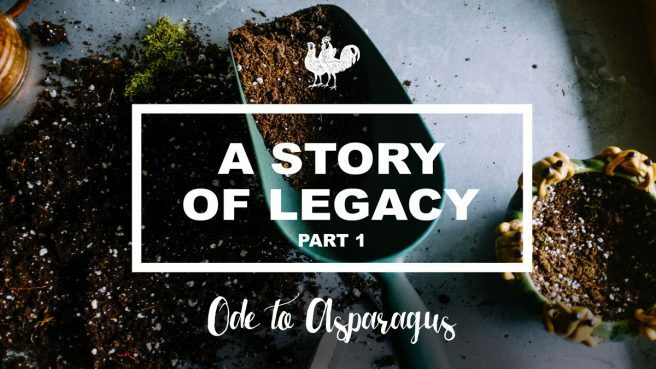 Obviously what I finally caught on to was the fact that someone before me had planted asparagus seeds in what would eventually be my little garden, and now I was reaping the harvest. I didn’t have to be patient. I didn’t have to wait three years for the the harvest. I just walked right into my new garden and had asparagus. And honestly, the fact that there even was a garden there in the first place, with a fence and a watering system… I was reaping the benefits of someone else’s hard work. What would 2019 look like if we all tended to our Spiritual Family Farm? Our legacy… the one we were left and the one we are leaving? Even if we have never grown anything in our life, we are all familiar with the idea of the Family Farm… the plot of land, the tools, equipment, storehouse or barn, maybe even family homestead passed down from generation to generation. And even if we have no inheritance in sight and not two pennies to leave anyone, we ALL have spiritually inherited land, and a harvest to sow into the next generation. And not tending to the Spiritual Family Farm will neither make it disappear or flourish. Our legacy deserves our attention. What did you learn about God from your parents or family of origin? What did you believe about yourself and the plans God had for your life because of the words they spoke or did not speak into or about you? What about the cultural air that you have unconsciously breathed in your whole life? The spiritual atmosphere of your times, your city, your gender? How about the institutions that you were a part of, or NOT a part of? Can you name the people in your life that mattered in your spiritual journey? As you tenderly walk the boundaries of your inherited land, the Spiritual Family Farm that was left to you, take note of what you see. Is the equipment broken down? Are there weeds to pull up? Or is the storehouse full of harvested seed, ready for the next generation’s planting? There is so much grace here because we did not get to choose the Spiritual Family Farm that was given to us. I pray that you find yourself on the receiving end of the covenant of love to a thousand generations because of the legacy that was left for you (Deut. 7:9). But the very good news is that no matter what you inherited, God’s mercies are new every morning, and every generation (Lam. 3:22-24). In the Old Testament, God powerfully rescued His people from 400 years of Egyptian slavery through terrifying plagues, and the miraculous splitting of the Red Sea. He sustained them with manna from heaven and fresh water out of rocks. He led them with a cloud during the day and a pillar of fire by night. He was faithful and tangible and present in their lives like we can only imagine. When they reached the Land He had promised them, Moses sent 12 spies to scout it out. And although God had led them there and called the land theirs, 10 of the 12 spies came back with a “bad report” (Ex. 13-14). They told the people that though the land was indeed very good, the inhabitants were too many and too powerful to overtake. And the people believed them and rebelled, rather than believe their God who had rescued and sustained and led them to that very place. So as punishment, God sent the Israelites away from their promise to wander in the desert for 40 years until the entire doubting, faithless generation had passed away. Remember, this was the same generation who had originally reaped the curse of wandering in the wilderness for 40 years because of the unbelief of their parents. Their Spiritual Family Farm was literally desert until that day. But here we witness God flipping the script for them. Now they would reap what someone else had planted and be blessed by it, rather than cursed for it. He can do the same for your Spiritual Family Farm this very year, but you may have to get a couple of important tools out of the shed. I would suggest forgiveness and gratitude. Instructions to forgive and give thanks fill the Word of God. We are commanded to forgive just as God forgave us. Forgiveness never says that the iniquity, the hurt, or the offense was okay. After all, THAT is not how God forgave us. He takes sin VERY seriously. In fact, it is what nailed His beloved Son to the cross. But forgiveness always paves the way for fruitfulness in our lives and in our legacy. It is making a way for the dry, cracked dirt of our hearts, hardened by years of bitterness and pain to bring forth life again. So as you walk the boundaries of the Spiritual Family Farm you inherited, are there people or institutions that you need to forgive? 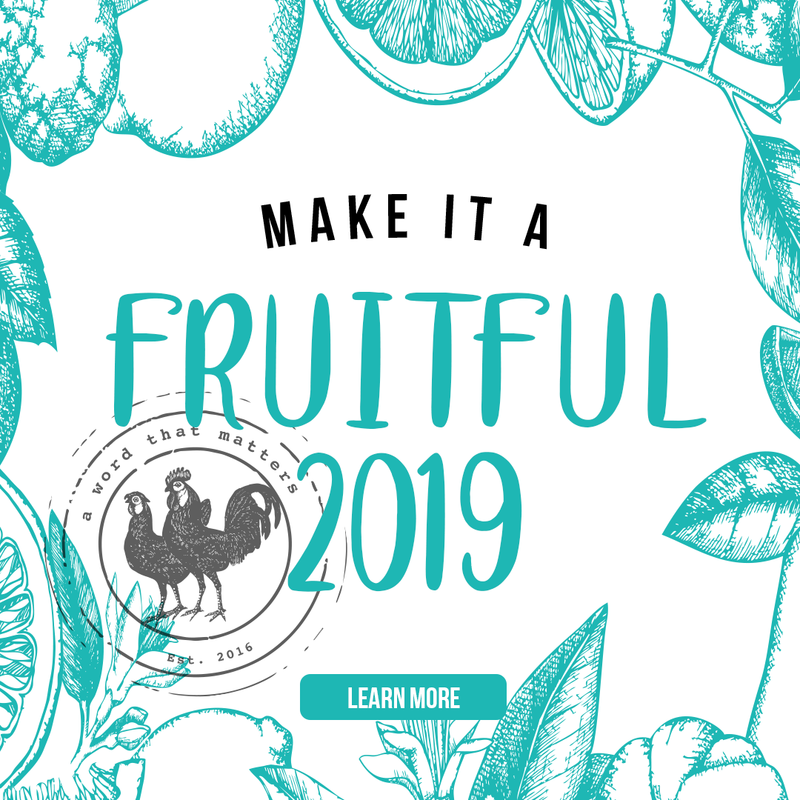 Ask the Holy Spirit to reveal them to you for the sake of your fruitfulness and legacy in 2019. Make a list. Pray through it. Maybe write a letter or make a lunch date. Maybe not. But do the hard work of plowing through that barren soil and trust that fruit will sprout in its wake. It will be worth it. I pray there are other names that you remember in gratitude…the names of people who pointed you to Jesus, who sowed into your Family Farm, who built the cities, filled the houses, dug the wells and planted the vineyards (and asparagus) you are reaping the harvests of today. Psalm 77:11-12 says, “I will remember the deeds of the Lord; yes, I will remember your miracles of long ago. I will consider all your works and meditate on all your mighty deeds.” I don’t know about you, but very often in my life, the “mighty deeds” and “miracles of the Lord” come in the form of people. He loves us and draws us to Himself through the other flawed image-bearers we share this earth with. Are there people you need to thank as you think about the Family Farm you received? Did you learn to love the Word of God from your Mother? Learn to pray by watching a Sunday school teacher? Hear for the first time that someone believed in you from a coach? Read a book that changed your life? I know this for sure, there is no one in this world that is over-encouraged. The work of gratitude is holy. I can’t imagine a legacy more pleasing to the Lord and more needed in our world than one of thankfulness and encouragement. Plow the fields of your inherited land with forgiveness and gratitude. And come back for Part 2 as we discuss the Spiritual Family Farm that we are leaving to future generations. Blessings and prayers for a Fruitful 2019. I didn’t plant a garden this year. I wanted to so badly but life has a way of forging it’s own will. 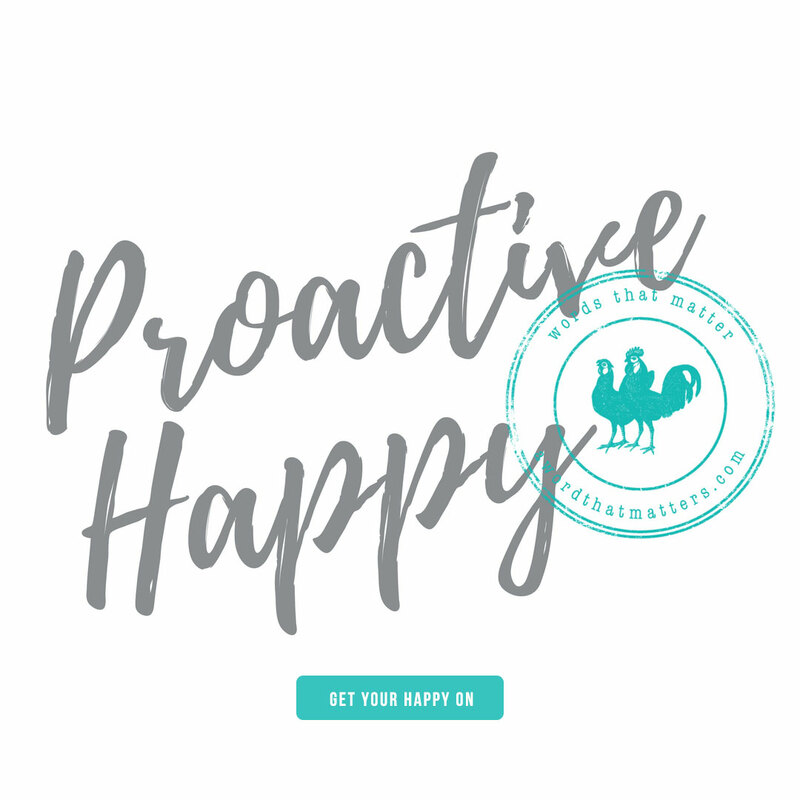 Spring was filled with so many activities, and the tiller was broken, and the chickens needed a new coop, and every weekend rushed past, leaving us breathlessly holding never finished to-do’s. I had to let something go. But the hard part of letting something dear go is that you have to do it over and over and over again. I let the dream of a garden go during planting season, and I have let the reality of it go every summer day that I have walked by the overgrown, unplanted plot of earth. No fresh okra to fry. No oversized zucchini to surprise me. No joy-filled gardening mornings. No harvest. No life. My hope has felt a little like that as well. Not in everything, certainly. The summer has been full and sweet. But when I have gotten good and still, I have realized there is hopelessness in some areas of my life. It’s a tricky thing to name because it doesn’t knock loudly on your heart making itself known easily. It hides behind bigger, boisterous feelings. Frustration. Anger. Jealously. Fear. But when I peer beyond, look closely within, I find the root of hopelessness. So I unknowingly let go of hope in those dead, unfruitful places. And I let it go again and again as I continued to make agreements with that sneaky hopelessness. Now, back to the garden… only not the garden. Back to the wild patch of ground right on the other side of the house. This forgotten spot comes up with the best surprises in summer- wildflowers grow tall, reaping the benefits of the yard’s sprinklers while protected from the go-kart racing. My husband’s tractor and I fight constantly- me standing guard for my daisy, sun-flower friends, him telling me there are sure to be snakes in the tall grass. I know he is right but the momentary, wild beauty is worth the fear. 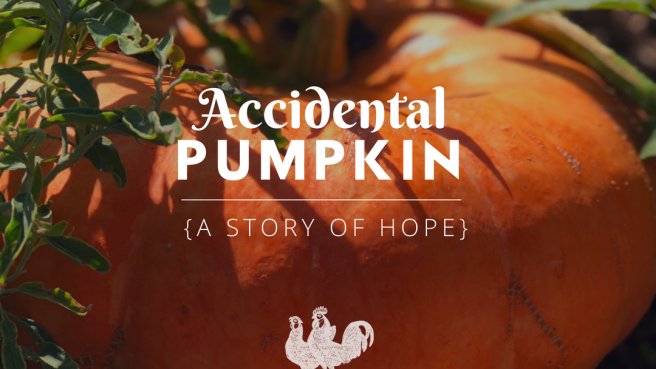 And this year, there is an accidental pumpkin. I spotted the large leaves vining their way through the flowers in the earliest summer days. I have watched the yellow blooms open and close with promise. And now, there is a pumpkin there growing bigger by the day. Not just your run of the mill, jack-o-lantern kind either…. one of those peachy, orange fancy Cinderella ones that cost $20 at the grocery store in October. An accidental pumpkin in the middle of the wildflower patch… 200 feet from the unplanted, desolate garden. In the letting go, I had forgotten an afternoon in late November when the Fall decor was being replaced with Christmas lights, and nativities. The children were tasked with gathering pumpkins from the porches and hearth but rather than trashing them, I let them smash them instead. They had a grand time taking baseball bats, and golf clubs, big sticks and boots to every size, shape, and shade of pumpkin over in that forgotten spot. I remember a fleeting prayer about all those seeds flying, finding their way into the cold ground. But this is west Texas, after all, and tumbleweeds are the only things that grow without effort. But sometimes God is just incredibly sweet, and surprises us with something we hadn’t even dared to hope for. Sometimes, in the fog of discouragement and disappointment, he delivers a gift out of nowhere. We may be focused on an area that is not producing the life and fruit we had imagined, when we see the supernatural fruit of the unexpected in a patch of wildflowers. Maybe it’s not all on us. Maybe it’s not all about our own agendas. Maybe we don’t have to work so hard. Maybe that’s what we need to let go of. The garden may still be overgrown. The dream still may lay dormant for a season. 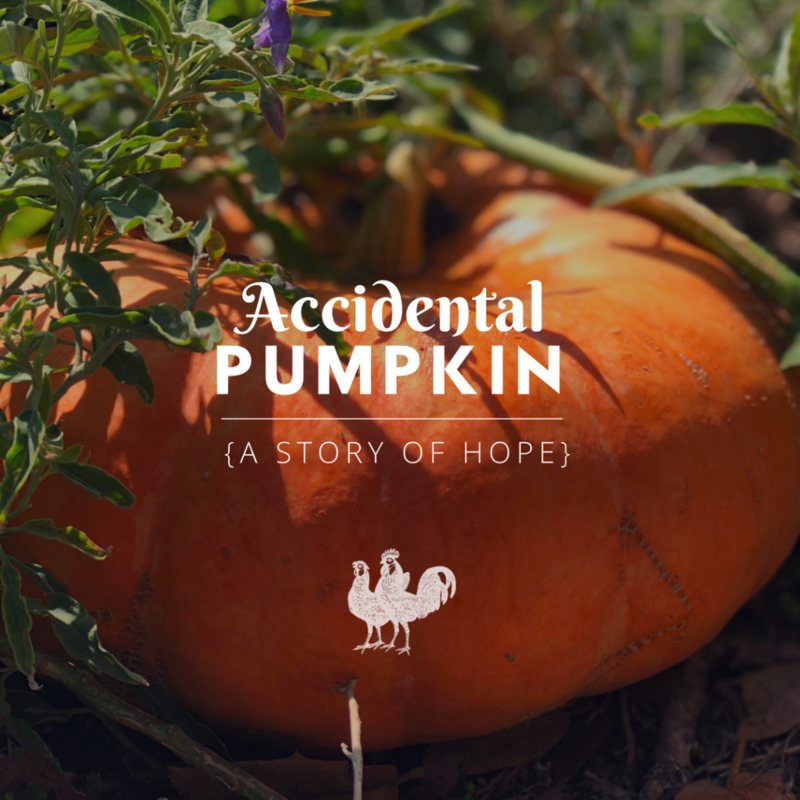 But I bet if we all look closely enough, we may find an accidental pumpkin… the produce of a forgotten day, a forgotten conversation, a forgotten investment, a forgotten seed. And so we put the focus there. We hang our hope where there is growth. We focus on the places sprouting life, instead of walking around the same ‘ole dusty, dried up space. Let go of the particulars. Let go of the results. It will usually look different than we thought. But hope is dredged up with gratefulness, with a focus shift, with eyes to see where life is happening, with a daily fight for joy. So no, that prayer was not answered the way I had wanted it to be. There still isn’t clear victory in this fight that has torn at my heart for years. The changing of the season is coming at me with disappointments already. And that project that I sowed deeply into may not ultimately matter. But there is life and blessings somewhere else, I’m sure of it. I may have to look to the forgotten spaces, beneath the tall grass of my expectations, and mow down hopelessness to get a better view. And no, there hasn’t been any okra to fry this summer. There have been no zucchini dishes to thrill my children with (insert sarcasm). The summer harvest has not been what I dreamed it would be. But hope is growing peachy orange among the wildflowers. And I’ll have an accidental pumpkin for the fall.